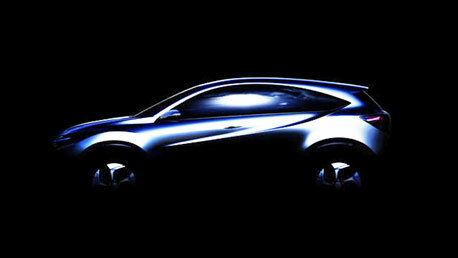 A new Honda compact "Urban SUV Concept" car will be launched in January at the North American Motor Show in Detroit. As the reviews (below) point out the sketch from Honda USA doesn’t give much away. It looks to have its roots in the recently relaunched Honda CR-V shape and speculation is that it will be based on the Jazz platform. All will be revealed, and we will be updating our South African Honda customers as soon as more details become available. Combining a sporty and dynamic SUV profile with a spacious, functional interior, the sketch reveals oversized wheel-arches, a fashionably narrow glassed area and a distinctive, sweeping crease in the profile that rises to meet the juncture of roof and C pillar. The concept will be introduced during Honda's Detroit Motor Show press conference in January.